If you read our mirrorless Sony a7II Review, you will remember that one of our biggest gripes with it and the company in general was a lack of choice when it came to lenses. 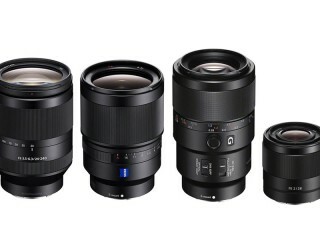 Sony, of course, know this very well, and in 2013 released a roadmap for the next couple of years that would bring up the total number of FE lenses to at least 20. 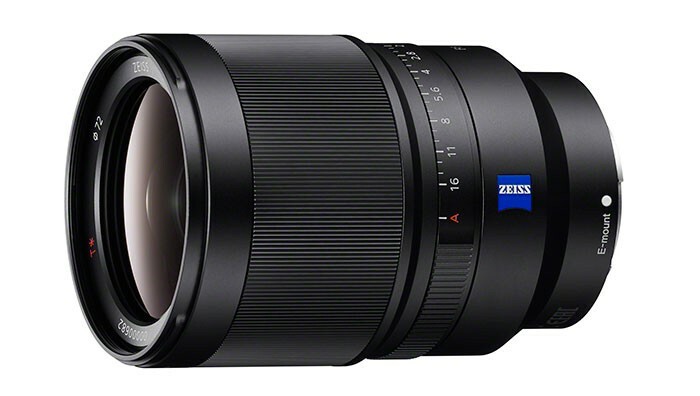 So far they seem to be sticking to this roadmap with March 4th announcement of 4 new lenses: FE 28mm f/2, Zeiss Distagon T* FE 35mm f/1.4 ZA, FE 90mm f/2.8 Macro G OSS and FE 24-240mm f/3.5-6.3 OSS. Least expensive of the bunch is this wide angle prime lens. Available for $450 retail in May 2015. 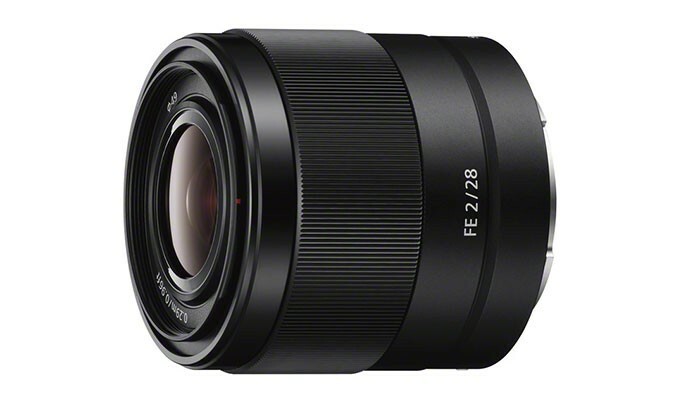 FE 28mm f/2 was designed with unique 9-blade design circular aperture designs for smoother and more natural out-of-focus highlights, as well as advanced linear actuator for quitter focusing. This 35mm wide angle prime lens has a minimum focusing distance of approximately 12 inches and exceptionally large 9-blade circular aperture of 1.4 for beautiful bokeh results. The lens is coated in now famous ZEISS® T* coating that reduces flares and ghosting for stunning natural colors and contrast in all kind of lighting conditions. For videographers out there, the lens has a Direct Drive SSM (DDSSM) system that provides ultra-quiet precision focusing, as well as two settings for dedicated aperture ring, smooth and continuous and click stops for tactile feedback. The lens will be available April 2015 for $1,600 retail. 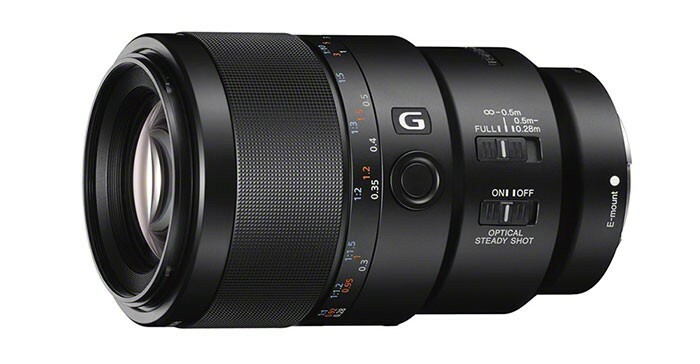 FE 90mm f/2.8 Macro G OSS is the first mid-telephoto Macro lens in Sony’s FE lineup. It features Optical SteadyShot (OSS) image stabilization, that’s very helpful when shooting handheld. The lens has a sliding focus ring that lets you switch between manual and auto focusing, as well as focus hold button and focus range limiter. Focus hold button allows you to lock in the current focusing distance on the fly, while range limiter can save you time by only looking for focus through 1 of the 3 pre-defined ranges. Same as the 35mm, FE 90mm f/2.8 Macro G OSS features super-quiet DDSSM system, ideal for shooting video or macro photography that requires you to be noiseless. This lens will be available in stores July 2015 for $1,100. 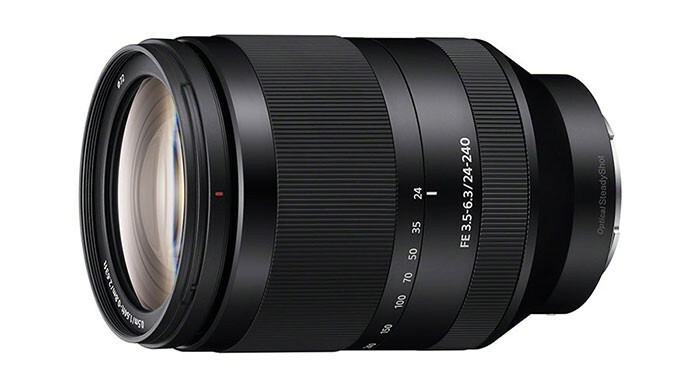 FE 24-240mm f/3.5-6.3 OSS is Sony’s attempt for an all-in-one lens capable of capturing true wide angle to super telephoto perspectives. For what it is, the lens is very compact, measuring only 4.75’’. It should be available this month, March 2015, for $1,000 retail.